A little continuation to my last outfit post - now accessorized. Because although weather has been extremely warm for October here in London, there are moments where a scarf absolutely comes in handy. I fell for this Zara scarf during my trip to Barcelona, so I've just been waiting to take it out for a spin. gosh, this scarf is AWESOME! Great pics! I love ur style. 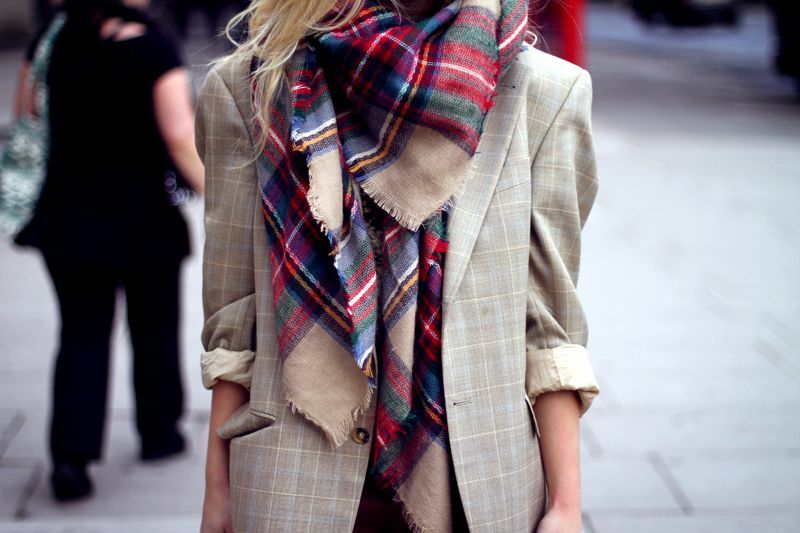 Love the plaid scarf. Need it as well. You're great inspiration. The second temperatures drop only slightly, you won't spot me outside without a scarf, I need those babies! love the scarf! and how the colours in the photo fit togehter with the scarf..great! You look beautiful darling, I love your scarf! Love that Zara scarf - I have it too.